The Southwestern United States where the states of Arizona, Colorado, New Mexico, and Utah meet is called the quadripoint. 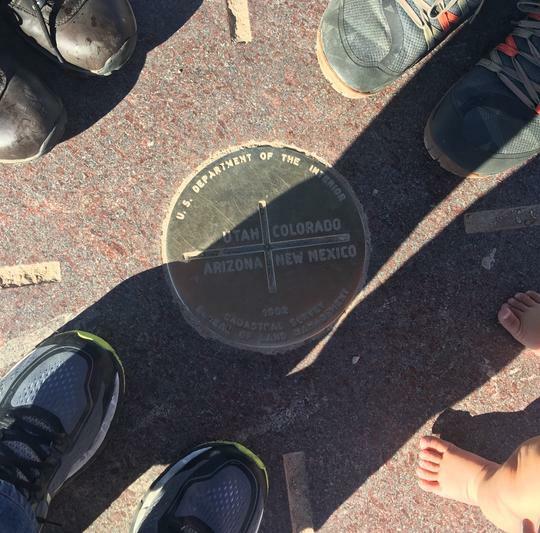 These boundaries are marked by The Four Corners Monument. 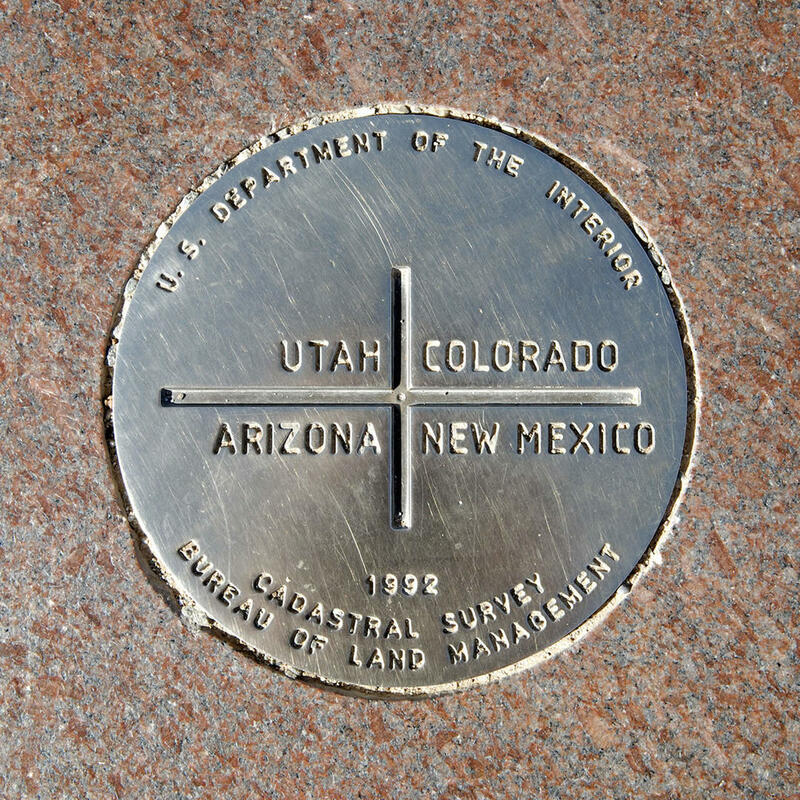 This is the only point in the United States shared by four states, hence the reason why this area is called the Four Corners region. 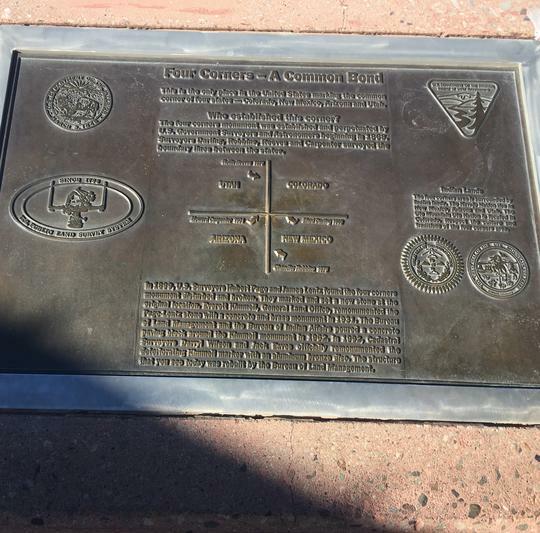 The monument also marks the boundary between two Native American governments - the Navajo Nation and the Ute Mountain Ute Tribe Reservation. Souvenirs and food are sold around the monument and even though the monument is in an isolated and remote location, it remains a popular tourist attraction. Driving thru the I-160. 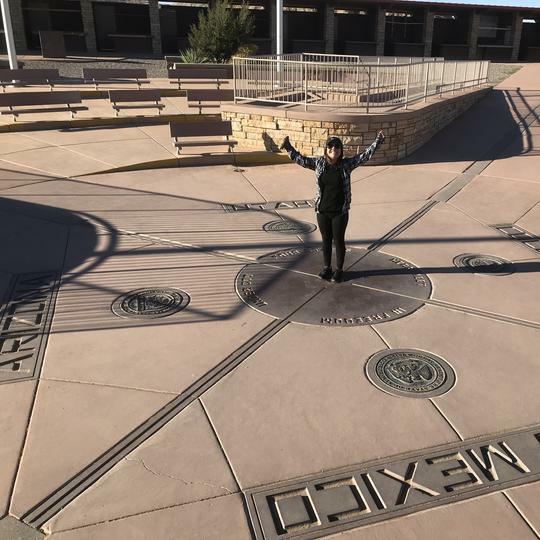 Wanted to stand in Four different states within a minute,mission accomplished!